This port town is located about 20 minutes east of Progreso, making it just far enough away from the denser population areas so that it maintains a special, slow, laid-back feeling.See video at the end of this article. Telchac Puerto has a lot of useful services including the five star Reef Yucatán, private beach homes for rent, stores that offer groceries, vegetables and fruit, a bakery and several seafood restaurants, a small market and clinic, pay phones (to be used with phone cards), a tortilla place, a harbor that has a gas pump, a hardware store, fried fish stands and more. There are no banks. There is a town plaza shaded by beautiful trees and a park with a children’s play area. There are Mayan temples of X’cambó three miles inland and a lighthouse on the small seaside promenade. For breakfast, lunch, and dinner there are good restaurants. For a delicious seafood lunch don’t miss Bella Mar restaurant, about one mile east of the village. Their ceviches, fried fish, shrimp cocktails, and fish filet are all superb. During July and August, the main plaza is especially folkloric as the fair is in town with booths offering foods, knick-knacks and mechanical rides. In Telchac Puerto there are family homes for rent during the off-season months (Sept-June). The Patron Saint of Telchac is San Diego de Alcala and the festivities are in November. 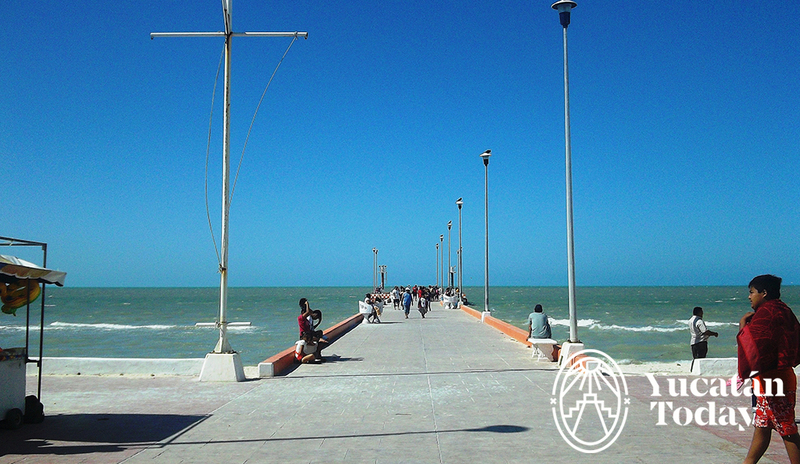 To get to Telchac Puerto if driving, go towards Progreso and go east when you reach the beach. Or go to Motul, and head north to the beach from there. Refer to our Yucatan map at the end of the editorial for more information. If you go by bus you take the Autobuses del Noreste line (Tel. 924 6355) located on Calle 50 at 67. From Mérida to Telchac they run several times a day: 7 am, 9:30 am, 10:30 am, 12:30 pm, and 6:30 pm. The cost for a one way trip is $42 pesos. Visit our site to get a feel of what the Yucatan seaside life is like in Telchac, Yucatan. 3 bedroom, pool, wireles internet, caretaker. Calle 69 con 50, Centro, Mérida. Keep in mind: There are buses leaving from Progreso and Motul.